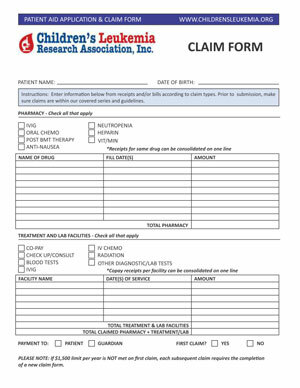 Patient Aid Application - Children's Leukemia Research Association, Inc. Please read our Patient Aid Summary page in its entirety and all related pages prior to submitting your application. Applications may be scanned, faxed, or mailed. Applications will not be processed if any information is missing. 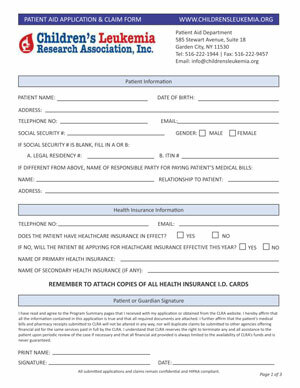 Attach a copy of your health insurance I.D. card(s). Make a copy of the application for your records. Medical care providers/treating facilities must complete page 2 of the application and forward it in any of the methods listed above. A new application is required each year for further assistance.